Redbud trees can add a bit of color to any landscape. In the spring the tree blossoms into rosy pink blooms. The tree can start blooming when it is around four years old. In the summer its heart-shaped leaves are dark green that changes to a yellow color in the fall. The tree also produces black pods 2 to 3 inches in length that stay with the tree in the winter. Another feature that makes the trees a visual interest is the irregular way that it branches grow. It grows in a round vase shape with various lengths of branches. The tree grows at a rate of 13 to 24 inches per year until it reaches maturity at 20-30 feet. In the spring the blossoms of the tree will attract many butterflies, and pollinating insects. Several of species of songbirds and Chickadees eat the seeds of the tree and use it for nesting materials. The adaptable tree can grow in any soil, in hardiness zones 4-5. It can grow in partial or full sun. There will be more blossoms for those trees that are in full sunlight. It can also withstand drought and is resilient against most diseases. The tree requires little care, just a pruning in the fall to help the tree retain shape, and rid it of any dead branches. 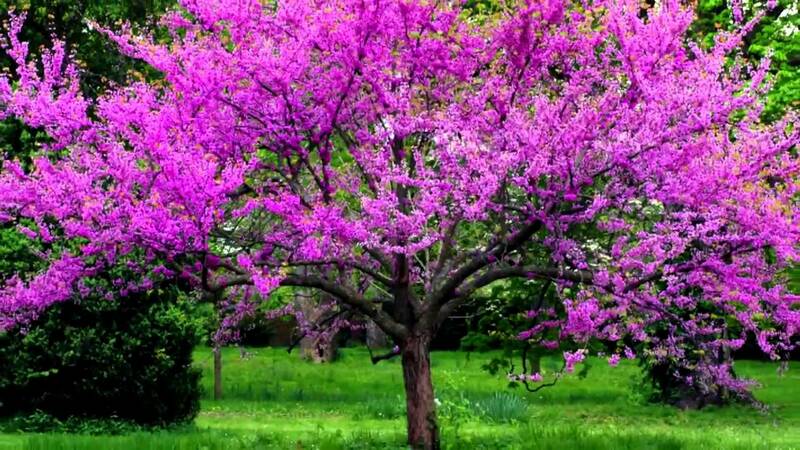 The Redbud, or Cercis canadensis, is a small slow growing tree. This tree gets up to about 30 feet tall. It is one of the prettier flowering trees. The buds are light pink to magenta in the Spring and brown in the winter. The bark is dark and smooth, often looking maroon in patches. This tree is usually an understory tree but is commonly used for ornamental purposes. It can grow in full to partial shade and tolerates sunlight. This tree/shrub is shipped bare root during dormancy without foliage.